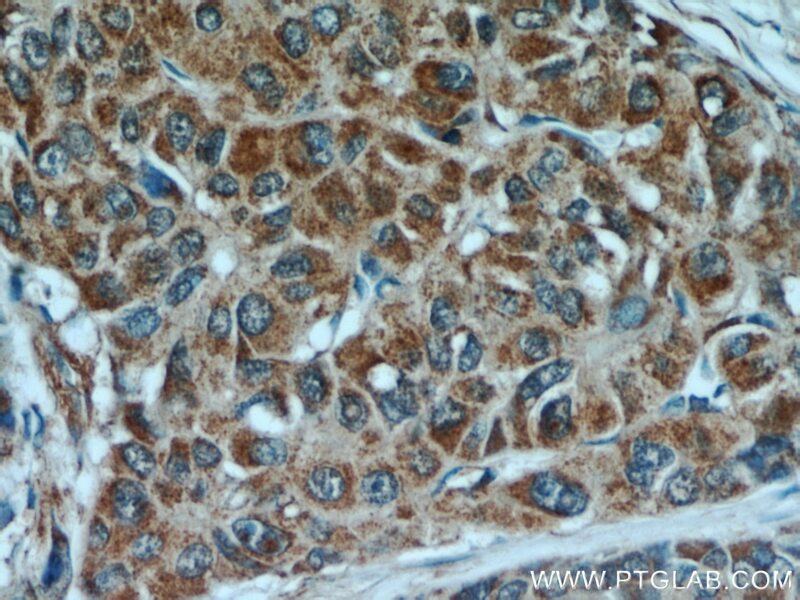 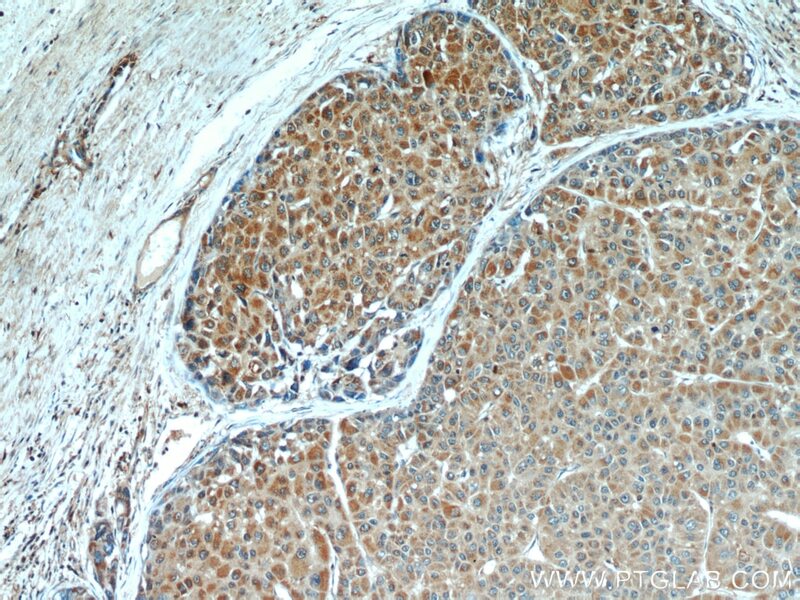 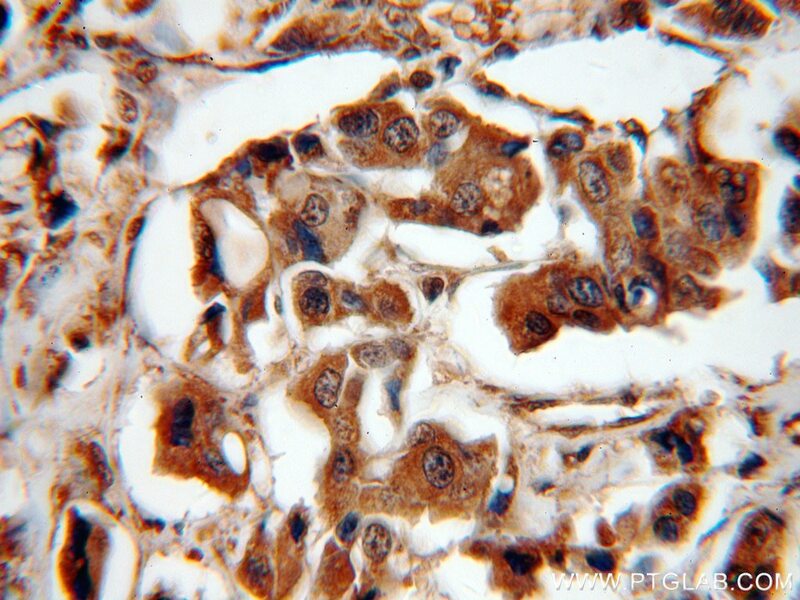 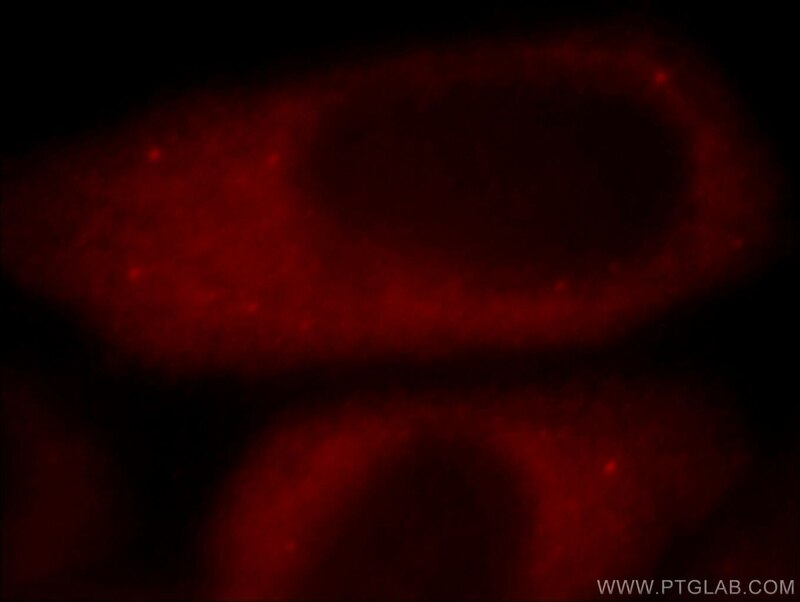 Immunofluorescent analysis of HepG2 cells, using PEG10 antibody 14412-1-AP at 1:25 dilution and Rhodamine-labeled goat anti-rabbit IgG (red). 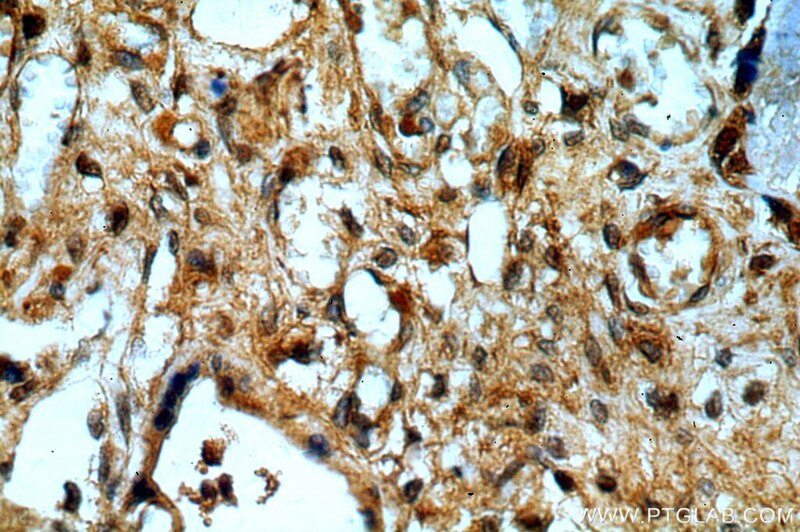 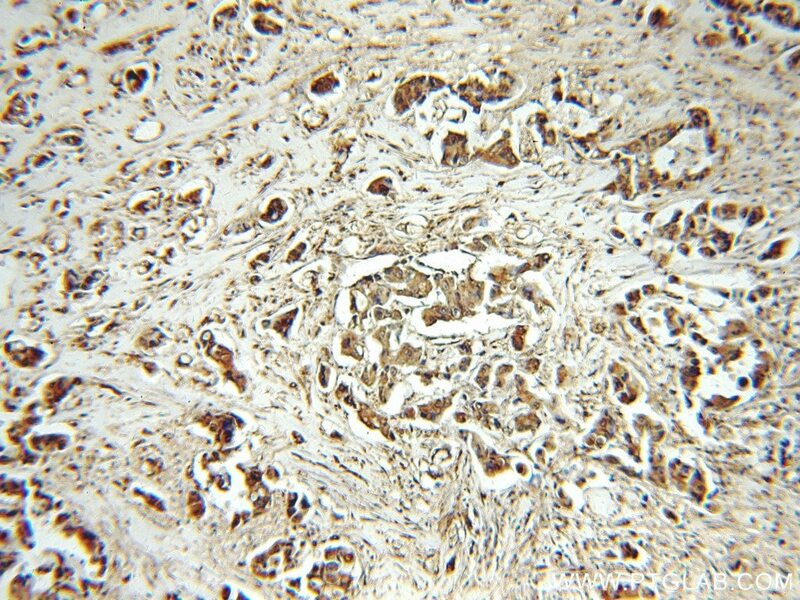 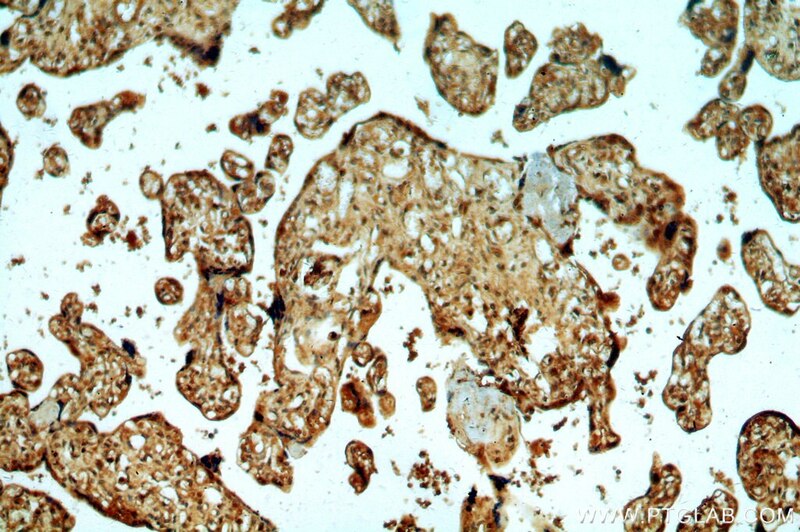 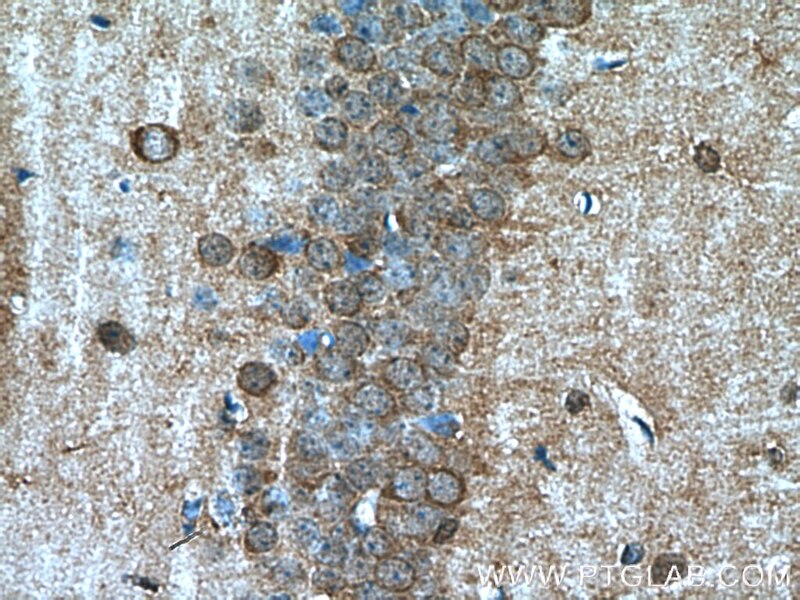 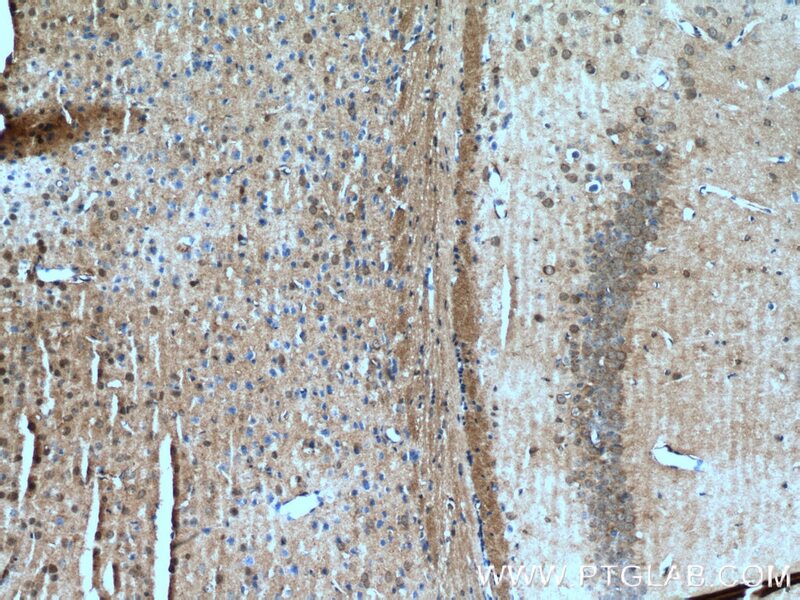 Immunohistochemical analysis of paraffin-embedded mouse brain tissue slide using 14412-1-AP( PEG10 Antibody) at dilution of 1:200 (under 10x lens). 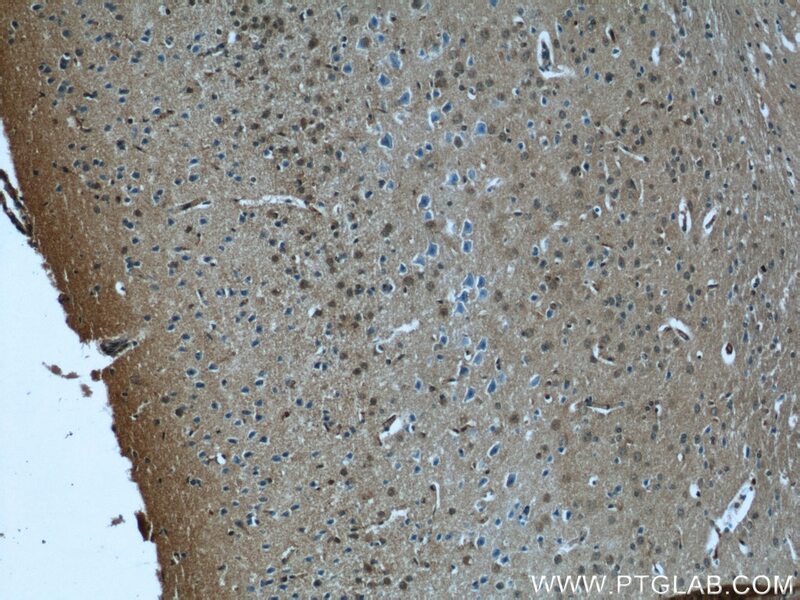 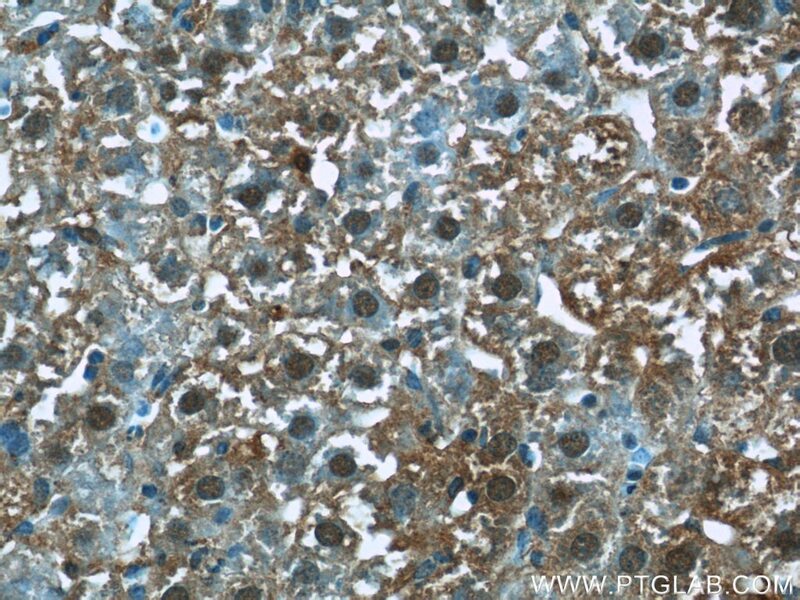 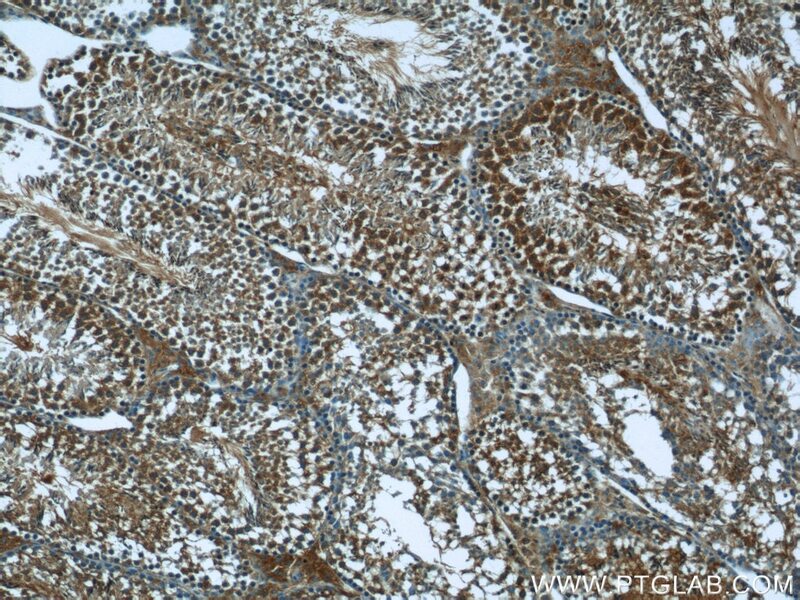 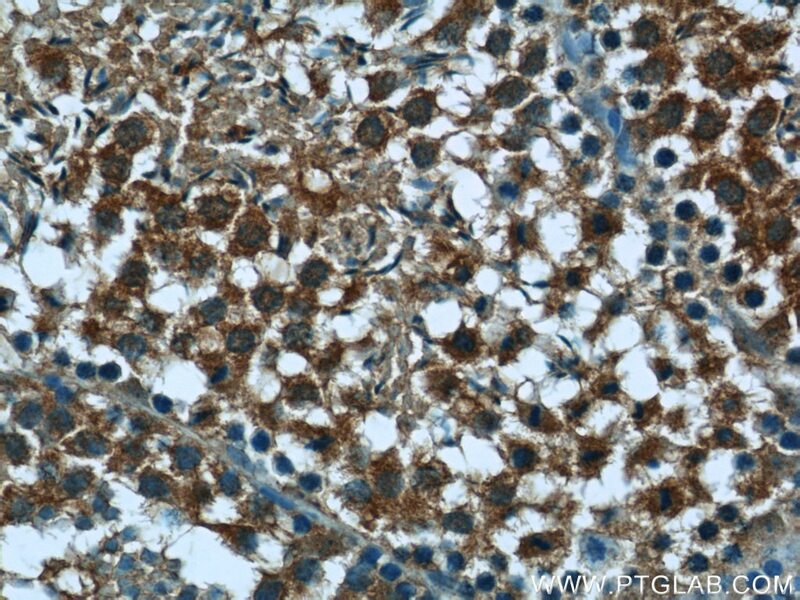 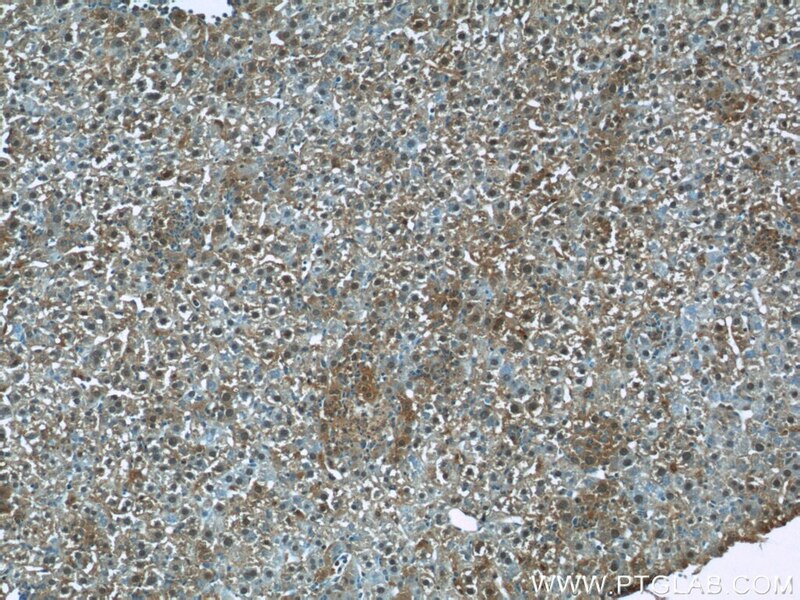 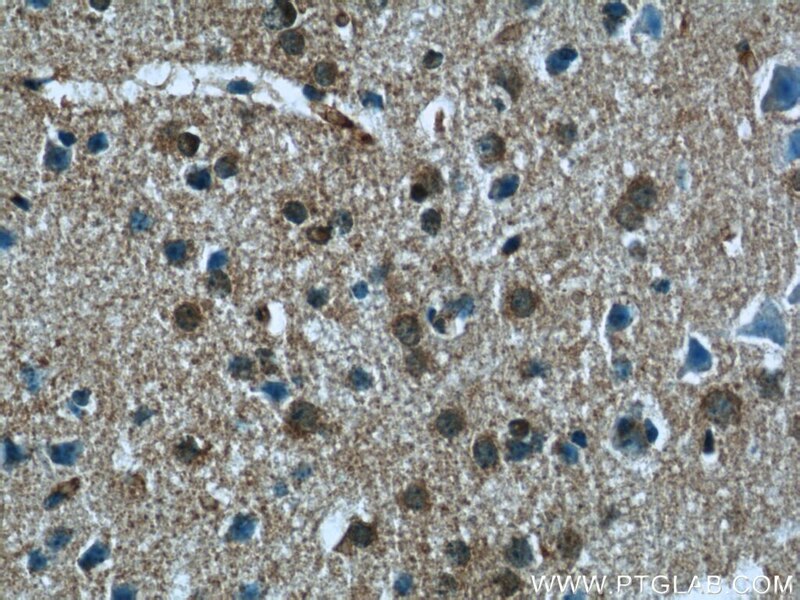 Immunohistochemical analysis of paraffin-embedded mouse brain tissue slide using 14412-1-AP( PEG10 Antibody) at dilution of 1:200 (under 40x lens).